This was really my first time adventuring into surreal and fantasy art. 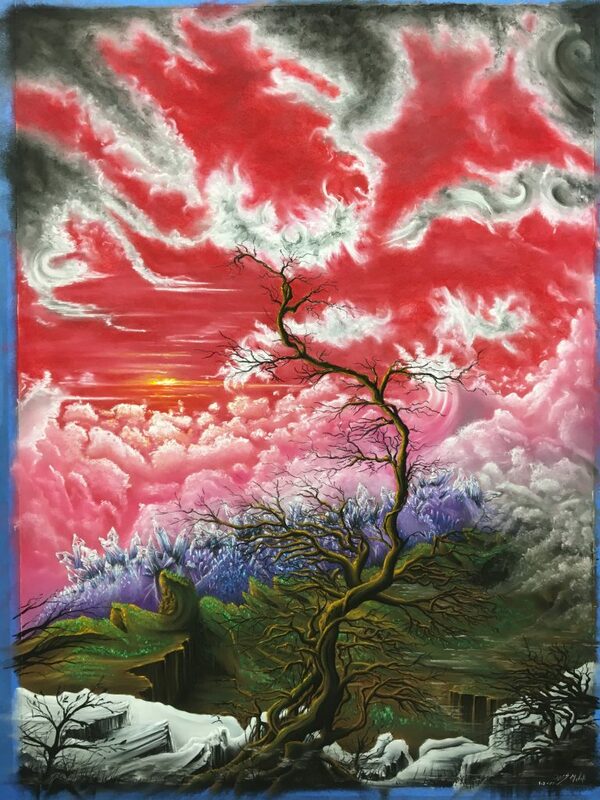 The red sky and the crystals really separate this piece from your traditional landscape. I wanted to take my art in a very different direction and draw something out of the box for once in my life. The only story behind the piece is, finding what inspires you, take an idea and just go with it! To me, this is where my art journey really begins!